Fiber artist Mana Morimoto adds colorful embroidery to a diverse range of media, including sculptures and concert tickets. 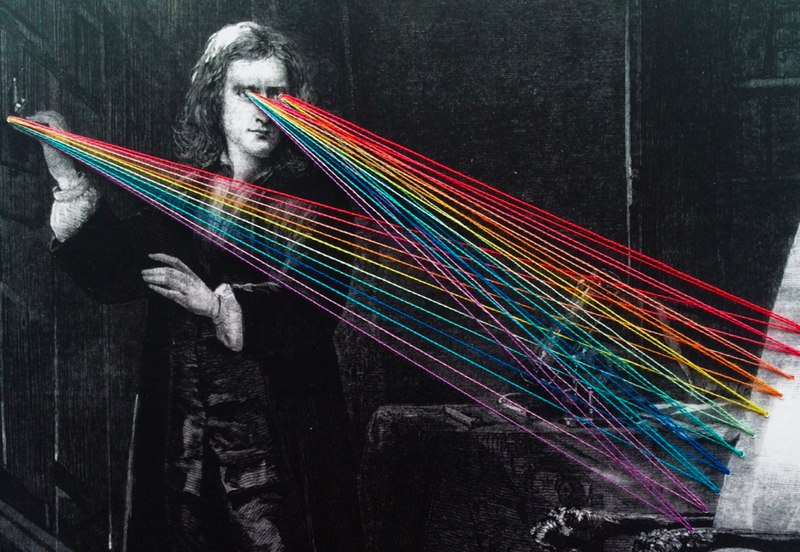 This augmented etching of Isaac Newton (hit the jump for the full image) is one of our favorites. See more of Morimoto's work on Tumblr and Cargo Collective, or purchase prints on Society 6.